and provides information about the upcoming Olympiad. Please click on the links below for the answers to the questions in the Study Guide for A Twist in the Tale, as well as the Punctuation Chart for the language section. Please note that the answers provided are suggestions only and as long as learners can substantiate their answers, they are free to differ from the answers given. Calling all English Olympiad enthusiasts! We are gearing up for the 2019 English Olympiad. Our new theme for 2019 is "Hidden Truths" and the anthology is entitled A Twist in the Tale. Candidates will enjoy a collection of short stories, each with their own twist unfolded at the end of the story. Explore the hidden truths! Call for Entries - for information about the Olympiad, how to enter and prizes up for grabs. Entry Form - please complete this form to enter, and fax/email it to the Olympiad Officer before the closing date. The closing date for entries is 31 October 2018. Entries cost R125 per entry/candidate. Well done to all schools and candidates that took part! Back row: Rebecca Behne, Rustenburg High School for Girls; Astrid Burgess, Hoërskool Waterkloof; Emma Rogers, St Mary's School Waverley. Middle row: Georgina Stanley, St Stithians Girls' College Randburg; Holly Munks, Durban Girls' College; Olwethu Sigwela, St Martin's School; Jenna Murison, Ashton Ballito College; Cenelle Gounden, Durban Girls' College; Shannon Morrison, Cornwall Hill College. Front row: David Weber, Westville Boys' High School; Camilla James, Kingswood College (3rd place); Dr Malcolm Venter; SACEE National Chair; Keara Martino, St Mary's School Waverley (1st place); Theodore Pauw, Jan van Riebeeck High School (5th place). 2018 English Olympiad HL TOP 20 in RANK ORDER! Click here for an explanation of the symbols. Isaac Asimov, the celebrated American science fiction writer, once declared: ‘If the doctor told me I had six minutes to live, I'd type a little faster.’ Reading this quote, my mind wandered to the top-corridor English classroom where I recently wrote my last English Olympiad, with Mrs Leaver’s voice in the distance: ‘Six minutes left, everyone! Hurry along!’ Six minutes left! Lord have mercy! It wasn’t that I was worried about time; I had just finished my last piece, and was about to give it a final read-over. No; I owed my despair instead to the realisation that I would never write another Olympiad. For me, the Olympiad is more than just another exam or competition. It is protected time for creativity; a dedicated three hours devoted to writing. I only wish I could write one every day, to escape the usual chaos of our existence, to let the ink pour out of my grateful mind. F Scott Fitzgerald observed that ‘all good writing is swimming under water and holding your breath.’ So dive, ye stranger! Submerge yourself in the cool green waters of your imagination, of the English language, of this moment in time! The De Beers English Olympiad won a medal in the Academic Achievements category of the Eastwave Radio Nelson Mandela International Day Community Leadership Awards in August 2015. The De Beers English Olympiad was a DEVELOPMENT AWARD FINALIST in the 17th Annual Business Day Business Arts South Africa (BASA) Awards partnered by Hollard. The achievement was celebrated at the BASA Awards on 26 August 2014. 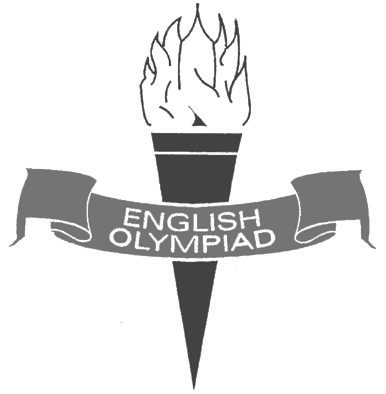 2019 English Olympiad - Answers to the questions in the Study Guide can be found by clicking on the Exam Materials tab. Please click on the link under the heading "2019 English Olympiad: Hidden Truths"
2019 Call for Entries now available! Please see the link on the left to download the Call for Entries and Entry Form for the 2019 English Olympiad. The theme for the 2019 English Olympiad is "Hidden Truths". A collection of short stories makes up the 2019 anthology A Twist in the Tale. HL TOP 100 RANK ORDER for 2018 now available for download! Please see the links on the left. Results for the 2018 English Olympiad are available! Please log in with your English Olympiad username and password to view your school's results. Click on Entries in the grey task bar. You will see the symbol/result next to each candidate's name if they wrote. 2018 CERTIFICATES will be posted to all schools in August. They are coming soon! HELP for English Teachers! See Teaching English Today by clicking here for more information. 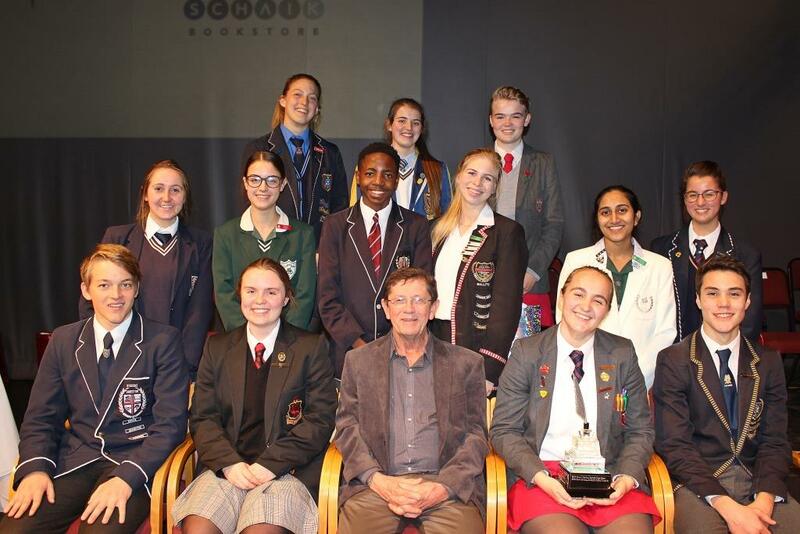 The English Olympiad is a joint project between the Grahamstown Foundation, the South African Council for English Education (SACEE) and De Beers. has supported the English Olympiad since 1985.